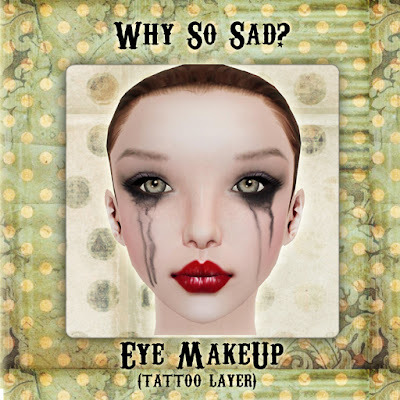 Why so Sad? Eye Make up on tattoo layer, tintable. 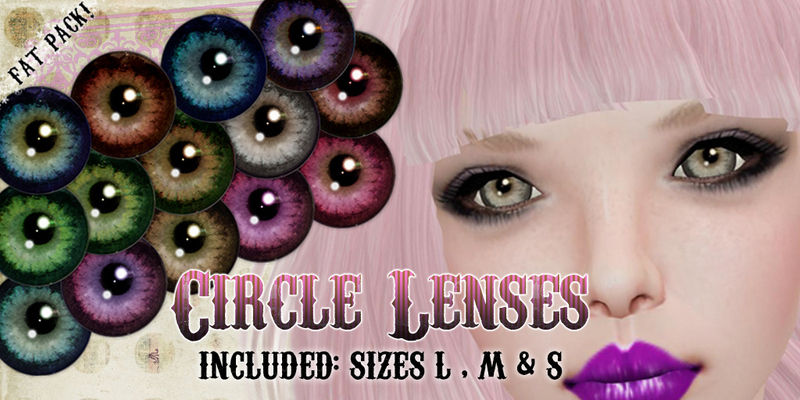 14 colors in 3 sizes each. Also new at the store Stopping your heart pose set. 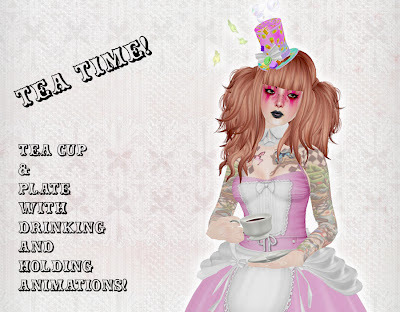 Freaky Tutus, Hats & Tea Time. As you can see 4 freaky mesh Tutus with corresponding hats. Transparencie on Tutu layers are editable and a demo is available at the store. Self explanatory enough? Just in case: You get a cup of tea and a plate. The cup is scripted so when you wear it you hold the cup over the plate and drink from it at random times, adooooooooooorableh!! I'm alive, after many tribulating turbulences in recent times I'm back with a new release. 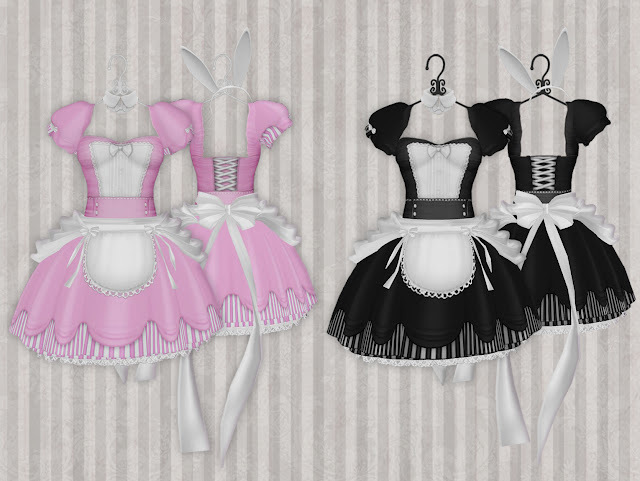 Bunny Maid Dresses in Black & Pink. 3 piece dress set. Top , High Waist Pants & Flexi Skirt. And all accessories: Cuffs, collar, Gloves, Stocking (Which I stupidly forgot to print in the ad *facepalm*) & a cute feather duster. All prim parts are Copy/Mod. Also, each dress has a strapless top sold separately in case you prefer a strapless dress, it also can be worn as a top, just like the other top. I hope you enjoy this dress.